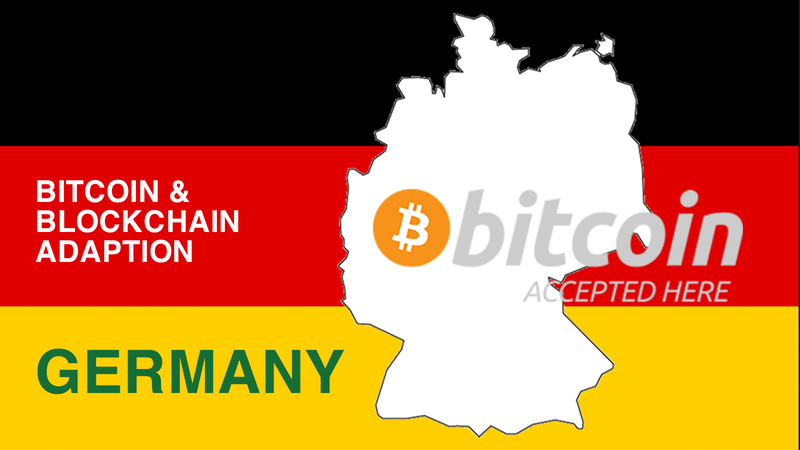 Germany appears to be one of the leading countries with adopting Bitcoin and Blockchain technology. Except, it has some high restrictions that makes it quite difficult to buy BTC. I started this series in order to get a feel about the progress the community is making to raise current acceptance in everyday life. Buying Bitcoin: How easy is it to buy Bitcoin? Paying with Bitcoin: How about paying opportunities with Bitcoin? Blockchain-economy: Start-up scene, community, corporations adopting blockchain & educational opportunities. Search Trends: How popular is Bitcoin & Blockchain in the population? Governance: How is the state dealing with cryptos and Blockchain? If you have any missing info on this topic, please post it in the comments. Some german platforms have established besides international Bitcoin trading platforms buybitcoinworldwide.com, localbitcoins.com, mycelium. To name a few: bitcoin.de, happycoins.com, bit4coin.net. Find BTC ATMs globally here:Global Bitcoin ATM map. 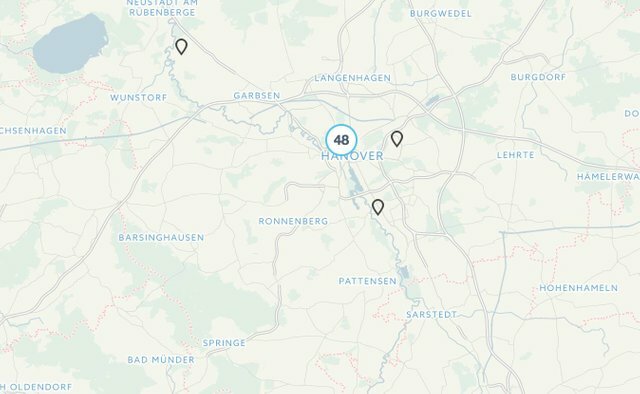 Coinmap.org is revealing only about 250 entries in Germany which is not quite much. The hot-spots with most widespread Bitcoin facilities are the capital Berlin with 70, follwed by Hannover with 50 and Hamburg with 20 spots. Several restaurants, bars, shops and stores accept Bitcoin, like the bar Room 77, Fantasy Bookshop Otherland, and the Geocaching gaming hoster Geheimpunkt.de based in Hannover, or architectural ceramics company. For a more complete list of international and local Bitcoin accepting options check Bitcoin Wiki or for the DACH region. Bundesverband Bitcoin - supporting and lobbying for Bitcoin and other cryptocurrencys. With an office at the Bundestag. Epicenter.TV is a podcast about BTC and blockchain. Blockchain-Meetup-Berlin has almost 2500 members. The Innovationsforum Blockchain is based Hambug and is partly funded by BM für Bildung und Forschung (German Ministry of Education and Science). Bitcoinsberlin.com is a european Blochchain incubator. Blueyard Capital another Blockchain venture capitalist. all4btc allows to pay with BTC in stores like Amazon and Ebay. Ascribe.io a marketplace for artists and developers. Bitbond is offering BTC loans. BCI Building infrastructure for public and private Blockchains. Bitwala for easy money transfers. Electrum the popular Bitcoin wallet is based in Berlin. Esatus Offering security solutions based on Blockchain. Ethcore/Parity is an Ethereum Browser. IOTA an Altcoin for the IoT, one of the Top 10 Altcoins in market capitalisation. Jolocom - decentralized data sharing and collaboration tool. Leondrino - wallet and token exchange. Lisk, a Blockchain application platform. Monax developed the blockchain platform eris. Neufund is bridging blockchain world with venture capital. Satoshipay- App for making nanopayments. Slock.it Rent, share, sell anything here. Valtoro trading gold with BTC. Xtech, a BTC-Wallet and payment gateway. For more Info on Blockchain landscape in Germany check this article. The subsidiary of Commerzbank, the 2nd biggest bank of Germany, Comdirect, just approved a Bitcoin certificate for trading. Axel Springer plug in and play ventures, subsidiary of Germanys biggest publisher AxelSpringer, embarked the start-up Satoshipay. Pharma giant Merck is intensively investigating Blockchain technology for healthcare. SAP, Daimler, LBBW and Deutsche Börse are also evanulation possibilities. Energy giants Vattenfalls and RWE AG made an announcement of testing a Blockchain based Platform for trading energy, together with other european energy corporations. In 2017 at the Hochschule Mittweida, University of Applied Science a Blockchain competence center opened. Germany has announced to be experimenting with Blockchain technology. In terms of administration there is an advanced initiative in Germans country Nordrein Westfahlen (press release by CDU/CSU) which serves a blueprint for the whole country. The Ministry for Science and Education is funding Innovationsforum Blockchain in Hamburg. Anyhow there are NO Bitcoin ATMs because of strict financial regulations in Germany. And the Deutsche Bundesbank, German central bank, is warning to use cryptocurrencies. The next country I will check is the Netherlands. I appreciate your upvotes & comments! Guter post und viel Mühe gemacht. Weiter so, Sehr interessant. Excellent work again Thomas. Interesting that Austria is further ahead in crypto adoption. oh yeah right, that adoption fits much better... thanks a lot I'll change that. thats what happens if you're not an english native..
Ich wisse sehr gut, wie es mit Denglish geht. ;-) Aber in Vergliech mit die ganze Artickel, du hast super Arbeit gemacht, wann Englisch nicht deine Muttersprache ist. Respekt. Thank you very much for the links to All4BTC and BitWala! I have been looking everywhere for crypto payment options. 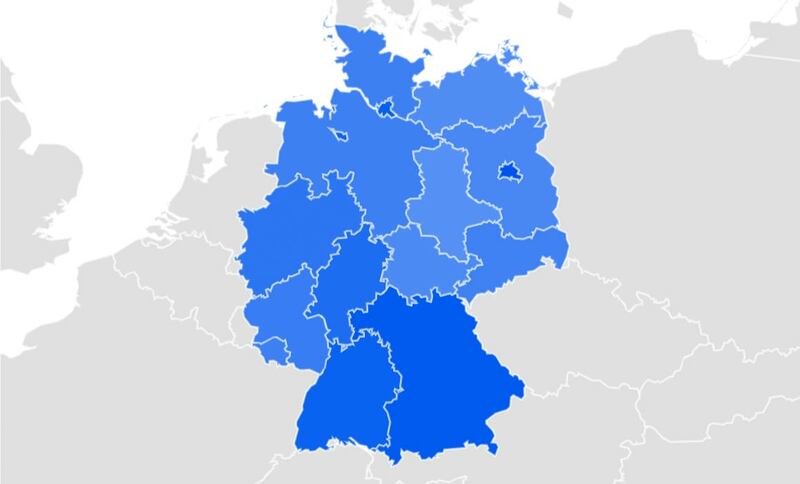 it’s the best time to invest in cryptocurrency, you can check out my article for more information about why it’s a great time to invest in Bitcoin in Germany https://wikicrypto.com/buy-bitcoin-germany-platform/ there is definitely a growth opportunity to profit from.